Over the years, Marlin Steel has created several tons’ worth of custom wire forms. 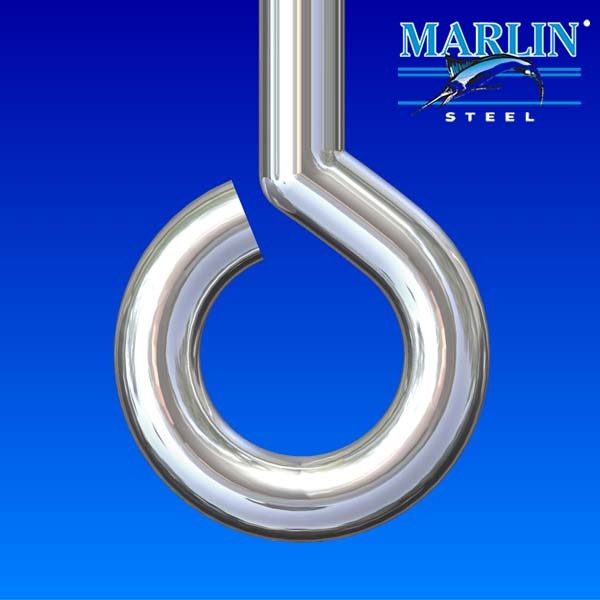 Countless pounds of steel wire have been run through the Marlin Steel production line as hard-working wire bending robots and their operators have worked to get each piece of metal to bend in the exact right way to meet the needs of Marlin’s clients. During the manufacturing process, Marlin’s production engineers have worked tirelessly to find new ways to process steel wire forms for greater efficiency so that increasingly challenging timetables can be met without compromising on the quality of the final product. Additionally, Marlin has acquired numerous pieces of wire forming equipment (such as the aforementioned wire bending robots) to increase productivity and quality. This dedication to constant improvement has helped Marlin grow its custom steel wire manufacturing capabilities. In turn, this helps Marlin Steel to overcome many of the production challenges posed by bending steel wire. 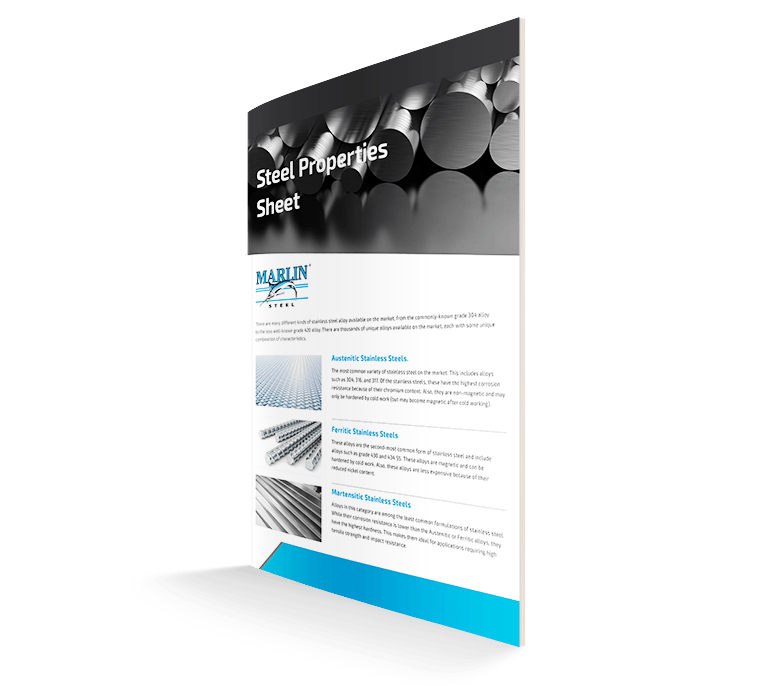 What are these challenges, and how does Marlin Steel overcome them? In many custom metal forming jobs, it is necessary to create a small opening in a piece of steel wire so that another object can be run through it. For example, in steel wire baskets meant to be mounted on a corkboard or peg wall, some of the wires may need to be pierced so that nails, screws, or other fastening devices can be used to attach the basket to the other surface. The difficulty here is that the steel wire to be pierced is typically very hard and small, requiring both careful preparation and great force to penetrate. Some steel manufacturers work around this by superheating the steel, making it more malleable and easier to puncture. However, this also leaves the steel wire susceptible to deformation until it is sufficiently cooled, which can ruin the shape of the final product. 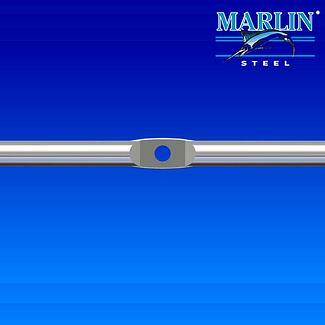 Marlin uses a high-tonnage steel press to puncture steel wire without having to heat it up first. This leaves a perfectly-shaped hole in the metal without the risk of post-punch deformities that the superheating process introduces. This same piece of automation is also used to cold-shape solid steel for flattening, swaging, and coining operations. In any wire shaping process, the compound bend is typically the most difficult shape to make. A compound bend is any feature within the wire form that has two adjacent bends or generations with no straight length next to the beginning or end of those radii. In English, this means two consecutive bends made without a “break” between them. This is because wire forming is usually done in a progressive manner, starting in a line from one end to the next. As a general rule of thumb, for any bend to begin you need at least some amount of straight wire, usually an amount equal to about 1 - 1.5 times the diameter of the wire, depending on the hardness of the metal. However, this is just a general rule of thumb, and the possibility of making a compound bend for any specific shape will depend on how tight the bends are, the capabilities of the wire-bending equipment being used, and the skill of the operator. For example, skilled operators can cheat the system a little by using a grinder to create extra clearance between compound bends. Stainless steel has unique challenges compared to shaping plain steel or iron. With stainless, surface finish and quality are much more important than in plain steel, as the protective oxide layer could be compromised if the finish is damaged. Also, different alloys of stainless steel have different mechanical properties that influence how much spring back a particular piece of wire might experience after a bend. Addressing this issue takes more than just excellent automated bending equipment, it takes knowledgeable production engineers who can account for the differing amounts of resistance different stainless steel alloys might have to being bent at varying wire thicknesses. This is part of the reason why Marlin Steel invests five percent of its payroll budget just for training, so production engineers can learn their machinery and the characteristics of different metal alloys so they can account for such variables on the production line. These are just a few of the challenges that the Marlin Steel manufacturing team has learned to overcome. Want to see how Marlin can help you overcome your own production challenges? 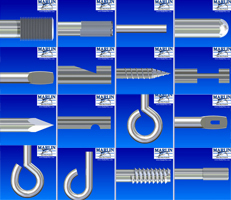 Check out how Marlin Steel creates the perfect wireform for your needs. Download the guide ebook below.